Thinks the technology could be used for other games in the future. On the whole, Microsoft never showed us the promise of the cloud like they said they would with the Xbox One- but some of the best games on the platform all silently utilize the cloud in the background to deliver a great experience that wouldn’t be possible otherwise. Take the Forza games on the Xbox One. 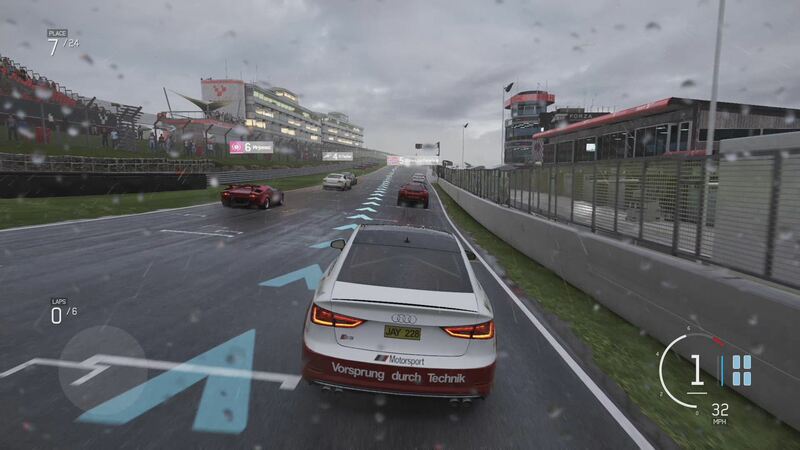 All three – Forza Motorsport 5, Forza Horizon 2, Forza Motorsport 6 – use the cloud to power their great Drivatar technology, where the AI is reactive, learns from the player, and steps its game up. Among other things. Former FOX Engine lead designer Julien Merceron (currently working with Bandai Namco) was impressed with this technology, and he thinks that it has incredible potential for other games in the future, reports DualShockers. The possibilities of synchronous, asynchronous, passive, active, and persistent multiplayer, as well as that of the AI learning and growing in response to the player, intrigues him- and he thinks something like this has applications in other video games. Personally, I think cloud assisted gaming eventually will become a thing- I just think that by trying to push it as the central focus, and by trying to push it now, when the world isn’t ready for it, not even from an infrastructure perspective, Microsoft may have made a bit of a mistake.